Hiya guys! We are one day away from the greatest time of the month... Polish Pickup! It's essentially like a Christmas for polish addicts every month, haha. I'm trying to be good this month, especially with actual Christmas coming up around the corner. But let's face it you guys, it's so hard to be good. Of course I am over here making sure I'm not in this alone, here's another shade that needs to be on your shopping list. 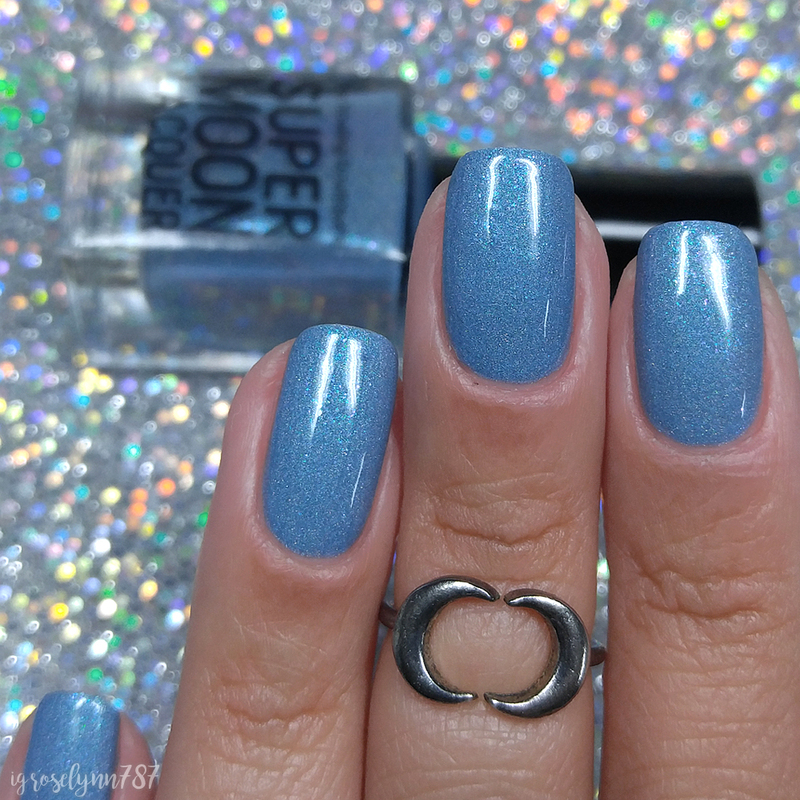 For today I'm sharing swatches for Supermoon Lacquer November contribution to the Polish Pickup Collaboration. The theme this month is Fandoms and Mardi has chosen something near and dear to her heart. Let's go ahead and get right to it! You Down With MLP? 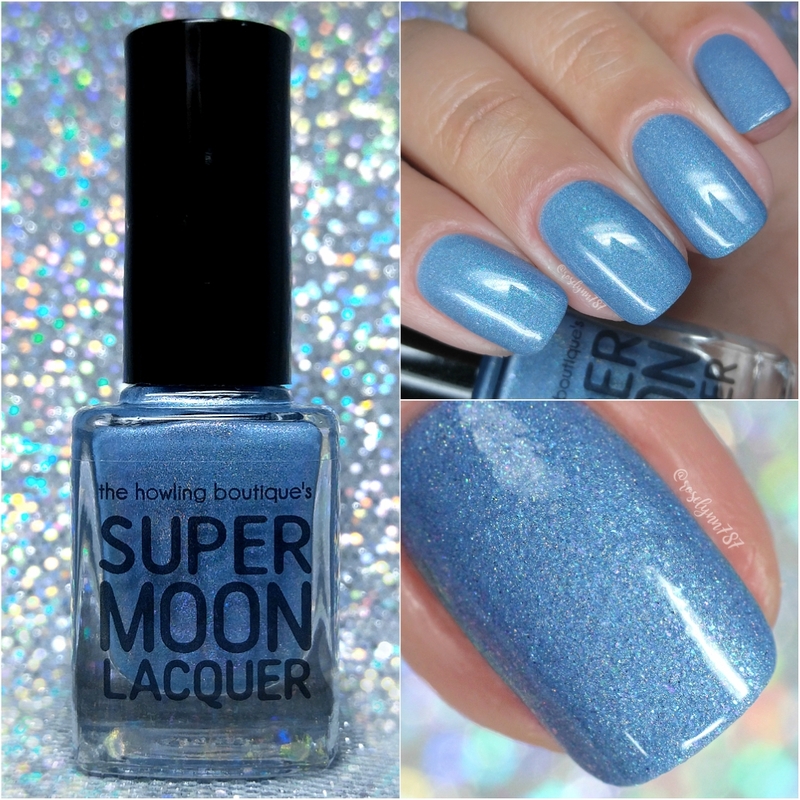 by Supermoon Lacquer will be available for purchase through the Polish Pickup Shop November 3rd at 11AM EST through November 6th. This full-size 12mL shade will retail for $12 each. If you're not familiar with the concept, the Polish Pickup offers a fun, interactive experience that allows you to submit theme ideas, vote for your favorite theme, and selectively purchase your favorite polishes every month. As I mentioned before, the theme that was voted for November was Fandoms! The name of the polish is a play on the song 'O.P.P.' by rap group Naughty by Nature. This shade is inspired by the original 'G1' (Generation 1) My Little Ponies from the 1980's and 1990's! Mardi has been an avid fan of them since her childhood and it has never changed over the years. There are currently over 400+ figurines (including G1s, G3s, and G4s) in her collection! Supermoon Lacquer - You Down With MLP? You Down With MLP? can be described as a pale blue scattered holographic with green/blue/purple, turquoise/purple/red, purple/red/orange, and red/orange/gold color-shifting shimmer, rainbow pearl flakies, clear and silver holographic micro-glitter, iridescent rainbow micro-glitter, and iridescent teal/blue and blue/purple color-shifting micro-glitter. It should come to no surprise that I am totally and completely in love with this shade. Although I'm a huge fan of blue polishes, it's not very often I find a light/pale blue that I love this much. It has the perfect amount of contrasting shimmer to give it a 'pop' that comes to life in direct sunlight. Plus it looks spot on against my skin-complexion, which I definitely wasn't expecting. The formula has a very opaque and smooth application, not quite a one coater though. It has a flawless balanced consistency. not too thick or too thin. Very easy to work with and layer. It dries down to a gritty finish that smooths out after topcoat. Shown in two coats and sealed with a glossy topcoat. To recap, You Down With MLP? 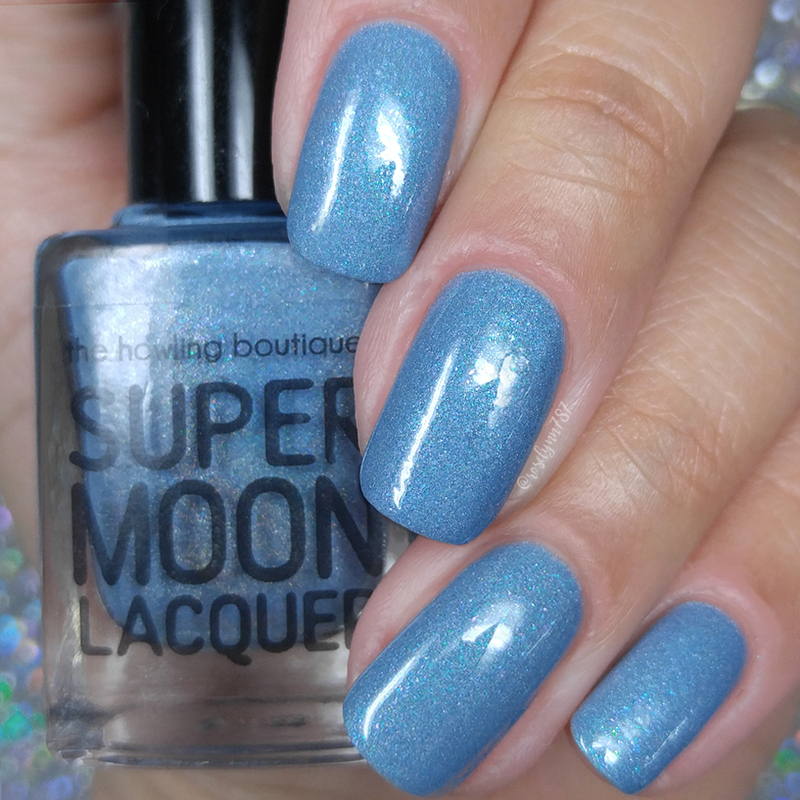 by Supermoon Lacquer will be available for purchase through the Polish Pickup Shop November 3rd at 11AM EST through November 6th. This full-size 12mL shade will retail for $12 each.